Greater Toronto Area REALTORS® reported 12,077 residential sales through TREB’s MLS® System in March 2017. This result represented a 17.7 per cent increase compared to the 10,260 sales reported in March 2016. They will be maintaining the overnight rate at the current level. 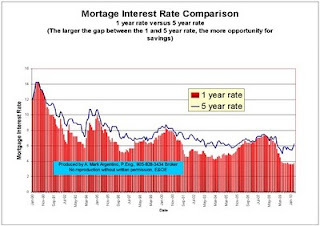 This is what the prime rate is based on. This means that the prime rate remains 2.70% This is the rate that lenders charge to their best customers. This is what the Bank of Canada said today in their announcement. Global economic growth is strengthening and becoming more broadly-based than the Bank had expected in its January Monetary Policy Report (MPR), although there is still considerable uncertainty about the outlook. In the United States, some temporary factors weighed on economic activity in the first quarter but the drivers of growth remain solid. The US is close to full employment, unlike many other advanced economies, including Canada, where material slack remains. Global financial conditions remain accommodative. The Bank expects global GDP growth to increase from 3 1/4 per cent this year to about 3 1/2 per cent in 2018 and 2019. In Canada, recent data indicate that economic growth has been faster than was expected in the January MPR. Growth was temporarily boosted by a resumption of spending in the oil and gas sector and the effects of the Canada Child Benefit on consumer spending. Residential investment has also been stronger than expected. Employment data have been robust, although gains in hours worked are still soft. Meanwhile, export growth has been uneven in the face of ongoing competitiveness challenges. Further, despite a recent uptick in sentiment, business investment remains well below what could be expected at this stage in the recovery. Accordingly, while the recent rebound in GDP is encouraging, it is too early to conclude that the economy is on a sustainable growth path. During the rest of this year and into 2018 and 2019, growth in Canada is expected to moderate but remain above potential. At the same time, its composition is expected to broaden as the pace of household spending, especially residential investment, slows while the contributions from exports and business investment increase. The Bank now projects real GDP growth of 2 1/2 per cent in 2017 and just below 2 per cent in 2018 and 2019. Meanwhile, the Bank has revised down its projection of potential growth, reflecting persistently weak investment. With this combination of a higher profile for economic activity and a lower profile for potential, the output gap is projected to close in the first half of 2018, a bit sooner than the Bank anticipated in January. CPI inflation is now at the 2 per cent target, largely because of the transitory effects of higher oil prices and carbon pricing measures in two provinces, as well as other temporary factors. The Bank’s three measures of core inflation, on the other hand, have been drifting down in recent quarters and wage growth remains subdued, consistent with material excess capacity in the economy. CPI inflation is expected to dip in the months ahead, as the temporary factors unwind, and then return to 2 per cent later in the projection horizon as the output gap closes. The Bank’s Governing Council acknowledges the strength of recent data, some of which is temporary, and is mindful of the significant uncertainties weighing on the outlook. In this context, Governing Council judges that the current stance of monetary policy is still appropriate and maintains the target for the overnight rate at 1/2 per cent.